Anne Gordon kindly offers this post as a special guest blogger, she is a national travel writer, having written for every major newspaper in Canada and many others across the world; she is also a member of TMAC. The following post is one on a subject that I find especially appealing – scotch! 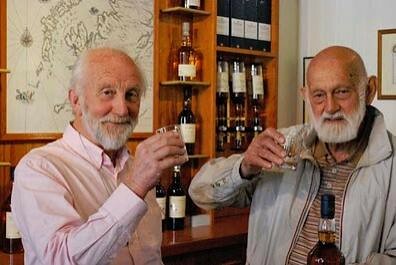 “For centuries in the hills and highlands of Scotland, pure spring water, malted barley and yeast, together with the distinctive smoke of peat, have given the Scots an alcoholic experience finer than any other. Called ‘Uisge Beathe’ ( the ‘water of life’) in earlier days, Scotland’s most favoured drink is now more widely known as whisky. Introduced to the country folk by Christian monks centuries ago, the art of distilling started out in hidden bothies (roughly made shelters) in the hills. It was a precarious operation. The distillers spent a great deal of their time dismantling the tubes and cans of their trade and fleeing whenever word reached them that the Customs men were close on their heels. You never know what you are gonna find at the Bancroft Gemboree and for that reason it’s always an adventure that I look forward to. 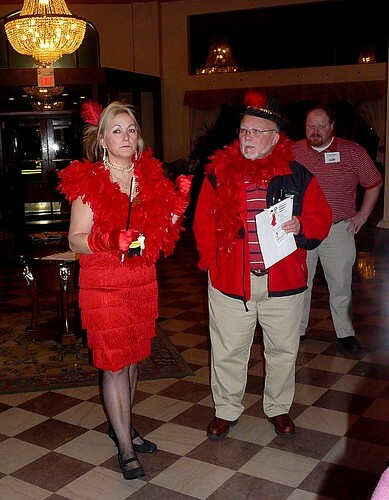 The 2010 event was no exception. I met some old friends – Ralph Schroetter amongst them. I was grateful for the Oregon Sun stone that he handed me. It was a gift with a lovely peachy hue. In retrospect, I really wish that I had bought one of these old beauties. The going price was $40 a piece. This appealed to both my caving and rock and mineral interests. The Carbide lamp burns acetylene which is produced within the lamp as a result of the reaction between Carbide (C2H2) and water. With the number of old abandoned mines up in the Bancroft area and the caves in the local marble, I would not be surprised if these old carbide lamps had seen local use. 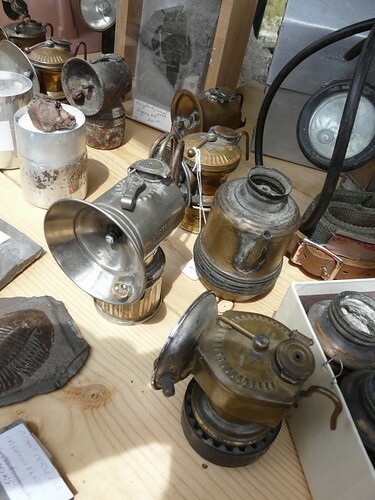 Check out the pitfalls of buying a carbide lamp here. As usual, the better faceted and collector stones were found at the lower venue, while up on top of the hill the outside vendors displayed the greatest diversity of product. Year after year it seems the same vendors pick the same locations. P1020556, originally uploaded by Mic2006. If you are dealing with demons “you gotta be authorative”, or thats what Jim said on that day up in the Muskokas. Patrick Cross, Jim, Bev and I had gone up to Cooper’s Falls to exorcise a house of whatever was living there. I was just a spectator – observer for reasons that I am not willing to divulge at this time. As far as authority goes, this lady had it all – no messing with her. Most of the people on the tour were a little tipsy by now – they needed discipline. This fellow standing next to the guide was told he was now called Al, last man in the group, his job to ensure that the tour stayed together. We were issued maps so that nobody got lost in the rooms beneath the floor. Apparenttly Al Capone had a favorite drinking spot, “Al’s Room” and the speak -easy that operated down there was joined to other areas of the city by tunnels. Six hundred at a time packed the space beneath the Broadview Hotel. And of course Clarence was sometimes seen down there (the ghost). “Keep snapping away, someone always finds orbs on their camera”. Though Patrick and Jim say they now refuse to have anything to do with demons, “Way to dangerous”, I felt safe going down there with this lady. I am sure she would quickly whip a malevolent presence into line. gemboree1 008, originally uploaded by Mic2006. 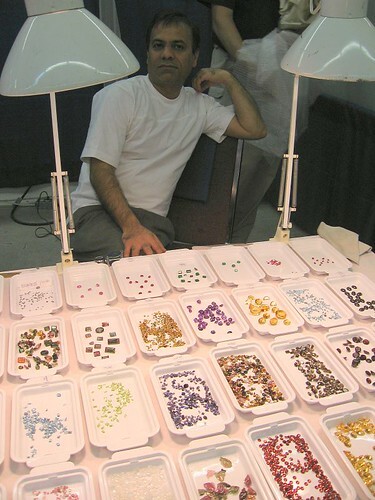 Ontario rockhounds look forward to the Bancroft Gemboree, it is the biggest rock and gem show in Canada. I have taken a week off work to attend the gemboree and visit various rock collecting sites up in that area. “These outside dealers of rough stone and mineral oddities are shaggier and rougher than the smoothly coiffed gem merchants within. They are often amateur; this pursuit of beauty is their life’s calling, but not their full time job. It’s not about cash; it’s the love of rockhounding that drives them. 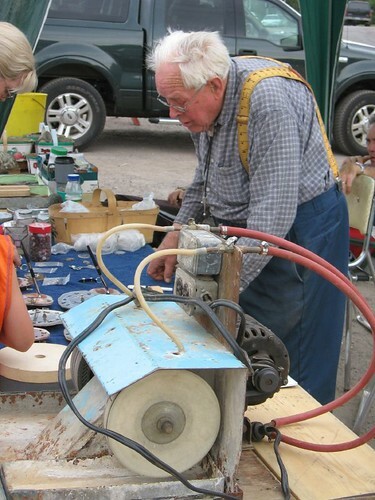 An aged lapidary was selling his polishing equipment. On a table beside him he had an archaic buffing wheel. He was willing to part with it for a mere $250. All around him he had 3-litre strawberry baskets filled with cut agate. I bought one on a whim and upon closer examination back at the cottage I regretted not buying more. It was an incredible mix of sliced nephrite, chalcedony, banded agates and jasper. There were all sorts of striped and spotted rocks, cabochons and nodules of every type, an absolute treasure-trove for $10. Witness my wife being pickpocketed – it makes an interesting picture. P0000181, originally uploaded by Mic2006. 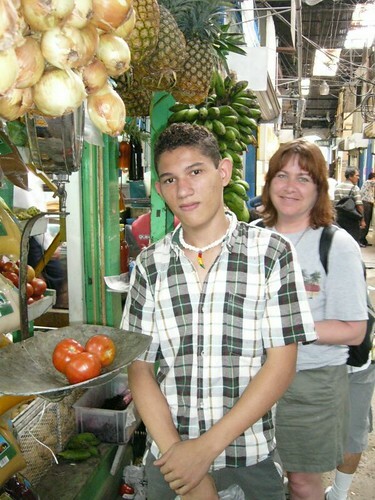 This post had appeared on my other site – thetravelnet – but as it was too much to keep up I will repost it here for its informative value – would be visitors to the Mercado Central in San Jose – BEWARE. Every type of unusual item can be found in the “Mercado Central” – Peruvian ponchos, cheap yellow plastic rain coats, pig’s heads, cow’s feet, leather belts and wind chimes. Situated just to the edge of San Jose’s downtown core it is well worth a visit but – keep your wallet close – the pickpockets swarm as thick as flies. Admittedly, we had been warned but feeling invincible with my money belt tucked across my belly (gave me the appearance of a really beefy beer drinker) we wandered in to the foray. For reassurance I rubbed the secret stash from time to time and glumly followed Maggie around as she nosed into the various heaps of bric-a-brac looking for trinkets. At a vegetable stall she found tomatoes at half the price that you could buy them at the convenience store across from the Melia (our Hotel). Absent mindedly I stood some distance off wishing she would hurry – I am not a big one for shopping. Two young guys who were running the store had not noticed me and the smaller, sharper one called out quite loudly to the other – “Englise”, quite literally meaning a tourist but more practically implying, “stupid dope” or “easy mark”. Maggie wanders around our home town with her backpack hanging open, no doubt losing things from time to time. It would appear that she had continued this habit here in the Mercado Central – a practice that was akin to slopping great heaping piles of fish guts into shark infested waters. We were immediately identified as a meal ticket. I could see a pouch on the back of Maggie’s day pack where the buckle was loose and a wad of untended postcards hung out as a signal to would-be pickpockets, “Easy pickings here”. The smaller stall tender’s hand shot out at the pack with the speed of a viper strike – no luck, a better angle would be required, and he maneuvered around for a second attempt. Working in tandem the larger, more placid looking stall tender drew Maggie’s attention. He stood squarely in front of her mumbling something and she straining to understand what he was saying. I was already moving in for a defensive block, Maggie was still oblivious. She bent over to look for ripe tomatoes. The two conspirators exchanged gleeful glances; they were by all appearances a well practiced team. Sudden shock as I pushed the predator away, the stall attendant immediately changed his demeanor back to dutiful sales man once discovered. They were by appearances only teenagers. I suppose they were just doing what was expected in a world of limited opportunity. No hard feelings on my part. The viper had melted back into the crowd and we bartered for tomatoes. Jeeeze this guy is not so bad, “Picture?” I asked. Compliantly he posed with Maggie just behind. You might see by the picture that no sooner had I raised my camera than “the stealthy one” slid back for another attempt at Maggie’s pack (see his foot to the bottom right of the picture). Pretty brazen dont you think? We left so as not to tempt fate any further. Consider that while I am watching Maggie, who is watching me? gemboree2 020, originally uploaded by Mic2006. Aristocracy oozes from his very pores, he is cool and non commital. I wonder if I am worthy to even barter. The table in front draws me closer. The salavitating rockhound within is fixated on the stones. Oh, oh, I must have a citrine! I cant help myself and he knows it. I inquire as to where the stones come from and am told that everything passed through Jaipur. Apparently this guy lives six months in Montreal and six months in Deli. “Jaipur is only a three hour drive from Delhi, but that can vary quite considerably” he says with understatement. The roads in India are a nightmare. It appears that there is little in the way of rules, beyond “don’t hit the cows”. They are sacred animals and have every right to snooze undisturbed in a busy intersection. Trucks choose whatever side of the road they wish to travel on and the carnage of burned out smashed up auto shells litters the roadside. I mention that I am writing a book on gems, “Oh but you cannot forget the Indians,” he asserts. “Jaipur is the major coloured stone cutting centre in the world”. A massive wall and seven defensive gates surround the Old City, where the gem trade thrives. It is a place that breathes colour and is dyed with an ancient culture. People call it the “pink city though it is also the state capital of Rajasthan. “It was founded over four hundred years ago by the great prince, Maharaja Jai Sing ”. Brightly clad women, in silk saris, float through broad-street’d markets. A monkey with leathery and wizened features peers from a darkened alcove. At sunset the streetscape melts into a world of orange and pink pastel, a camel cart creaks by led by a wraith-like figure. He glides slowly along on stick-like feet. As the warm evening breeze ruffles his cotton shroud you might suspect that it were only a skeleton beneath. “We Indians have the buying power that other regions do not,” the dealer tells me. You see my stones, none of them were found in India. They were however all cut in Jaipur. Of course there are other places”. “Bangkok”, he raises a knowing eyebrow. “Brazil” he shrugs. “China”, he sighs. “Its big and new and just entering the market”. A great beam breaks his saddened features, the very sun shining from his teeth, fanning his hands over his product he proclaims in a golden voice, “And then there is India”.